Historically, this degree was started during 1882 in this institution which was first named as Veterinary School in Asia and then by the end of nineteen century raised to the status of Punjab Veterinary College. The name of this program was B.V.Sc B.Sc (A.H.). In 1942 College was affiliated with the Punjab University and then University of Agriculture, Faisalabad in 1971 with the name of College of Veterinary Sciences, Lahore. The nomenclature of the degree has been changed / upgraded from time to time. In 2002, the College was upgraded to the status of University of Veterinary and Animal Sciences, Lahore-Pakistan. Five years DVM degree program was prepared and approved from the Pakistan Veterinary Medical Council under the directive of the National Parliament and was gazette notified by the Ministry of Food, Agriculture and Livestock on November 19, 2001, the aim of this composite degree was to meet the needs and demands of private and public sectors, livestock farmers, stake holders and the employment providers to the professional veterinary graduates of this country. The curriculum and syllabi of this course were prepared by a team of national subject specialists / experts representing all provinces of Pakistan. However, the scheme of studies has been revised with the passage of time in order to meet the international standards, so that the students after getting degree are in a position to handle any outbreak situation accordingly. 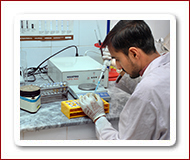 The program consists of pre-clinical and clinical subjects. There is one semester in built internship program that is mandatory. The purpose of the internship is to enhance professional skills and competencies related to animal and veterinary science. DVM is a professional degree. Veterinarian is competent enough to practice (diagnose, treatment and management) in the field involving large and small animals as self employment. He is also trained and skilled to manage poultry and dairy farms and enhance the productivity. During training, a student is exposed to clinics in Medicine, Surgery and Animal Reproduction. Successful graduates can get employment in Livestock & Dairy Development Department in the public sector in all the provinces of Pakistan. In this they can go to the Veterinary Hospitals, Disease diagnosis labs, Breed Improvement, Livestock Farms, Extension services, and Research. Some join as academia and some decide to go abroad. Numerous graduates from UVAS are now practicing vets in North America and other developed countries. UVAS veterinary graduates also serve as commissioned officers in Pakistan Army (RV&FC) and Rangers. Emerging dairy and poultry sector which has multi national and national companies in the country is looking forward with exciting packages to hire vet graduates for their agri-livestock services, farms, processing plants. In short, this is a unique professional field in which a graduate can choose any or all domestic animals to become a specialist and build an exciting carrier.